During the spring session, Le Centre offers Beginners 1, 2, 3, Intermediate 1, 2, and Advanced French as Second Language classes, from April 15 to June 10. Each class is a 2 hr session, given once a week during 8 weeks. Classes have a minimun of 5 students and a maximum of 12 students. If you were attending one of our classes in the past year, you can start your registration in person or by phone from Tuesday, March 26th, 2019. Free mandatory level assessments will be held on Tuesday, April 2nd and Thursday, April 4th, from 5 p.m. to 8 p.m. These verbal level assessments, generally last between 5 and 10 minutes. The waiting time before the test is not included in this estimate. No registration is required, these two registration evenings with free level assessment operate on a drop-in basis. Level assessments are also available over the phone by one of our teachers from Monday, April 8th to Thursday, April 11th, however, a $5.00 administration fee will be charged prior to taking the assessment. 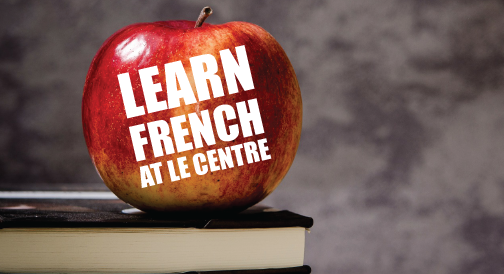 Le Centre offers Beginners 1, 2, 3, Intermediate 1, 2, and Advanced Franch as Second Language classes. 4 sessions: fall (September), winter (January), spring (April), summer (intensive - July). Sessions are on an 8 or 10 two-hour lesson basis, depending on which semester you register for. Classes are held once a week in the evenings at Le Centre (no classes on weekends). During the intensive summer session, classes are held twice a week. Free mandatory level assessments are held two or three weeks prior to each session, on Monday and Tuesday, from 5 p.m. to 8 p.m. These verbal level assessments, generally last between 5 and 10 minutes. The waiting time before the test is not included in this estimate. No registration is required, these two registration evenings with free level assessment operate on a drop-in basis. Level assessments are also available over the phone by one of our teachers, however, a $5.00 administration fee will be charged prior to taking the assessment. If it is your first time with us, or if it has been over a year since your last registration, please come by for a level assessment or give us a call for more information at 604.736.9806. If you were attending one of our classes in the past year, you can start your registration in person or by phone as soon as our registration opens. Classes are taught by French native speakers only. Our instructors are experienced, certified and friendly. Our classes are offered to people aged 16 and over. If it is your first time taking French classes with us, or if it has been over a year, a level assessment before registering is required. We want to make sure that you will be registered in the level that best suits you. For each session, we offer two registration evenings with a free level assessment. If you miss it, you have the possibility to do it over the phone with one of our teachers. No book is required. A $7 fee for providing photocopies of exercises and lessons will be added at the time of your enrollment.